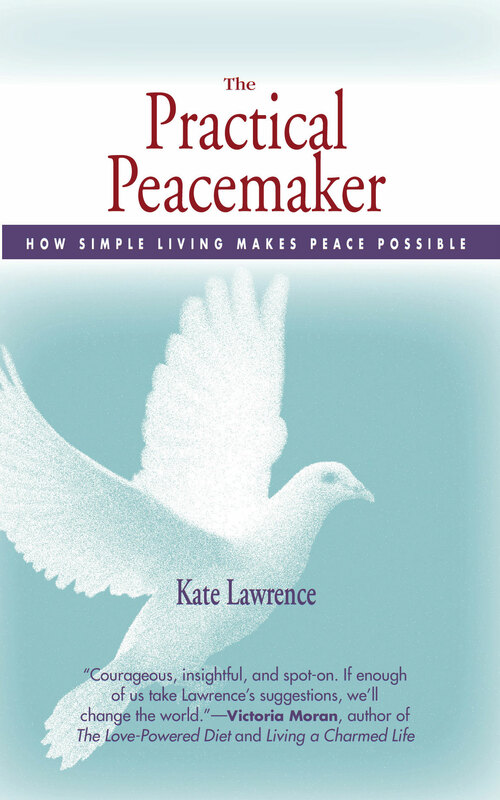 Vegan For the Holidays | A Practical Peacemaker Ponders . 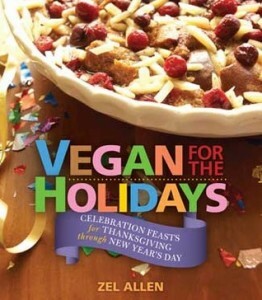 . .
Vegan For the Holidays: Celebration Feasts for Thanksgiving through New Year’s Day, by Zel Allen. (Book Publishing Co., 2012). Zel Allen is known to many vegans as the co-publisher, along with her husband Reuben, of Vegetarians in Paradise Internet magazine and author of a previous cookbook The Nut Gourmet. After four years of creating and testing holiday recipes, she has now released her latest offering, and what a gift to vegan cooks it is! Reading her acknowledgments, I was impressed with Zel’s tenacity–she remarks that she kept working on one recipe even after it failed four times. Reading her recipes, I was impressed with her skill in putting together unusual combinations of tastes while still keeping within the framework of the dishes traditionally associated with these holidays. For instance, butternut squash is ubiquitous on Thanksgiving tables, but Zel combines the squash chunks with beets and cranberries, roasting them in a little oil and salt and serving them up with a maple syrup, miso and orange sauce. For a Christmas appetizer, she transforms Brussels sprouts like this: after blanching them, scoop out the centers and stuff with a puree of almonds, artichoke hearts, kalamata and green olives, shallot and garlic, then sprinkle with vegan parmesan. Or finish off a New Year’s dinner with Hazelnut-Cranberry Bread Pudding with Creme Anglaise. Page after page features such wonderfully creative ideas to delight friends and family members. Serving Zel’s innovative and delicious dishes will transform your 2012 holidays and beyond.